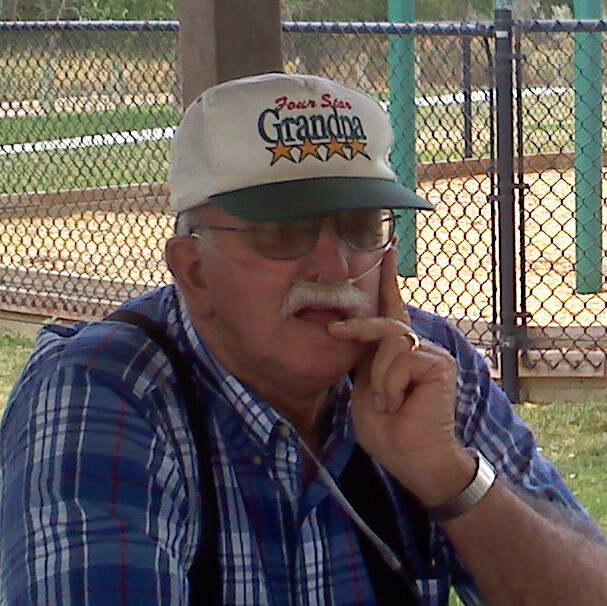 My Uncle Jack went home to be with the Lord yesterday evening. He was a quiet man, with a heart of gold, who made a big impact on those who knew him. There was always such a tenderness about him. He didn’t have it in him to be unkind. Through the years, I think many of the kids in the family can attest to what a fun guy he was. He loved the kids, especially his grandchildren and his great grandchildren. It seemed like every year when the fair would roll around, we would run into them at the fair with their grandchildren. It was fun time they spent with their grandkids. The kids also spent much time at their grandparent’s house through the years. Even their friends spent time at their house. It was the place to be. Uncle Jack like to putter around his shop and the land he and Aunt Bonnie owned East of Casper, often taking walks up and down the lane to stay fit, and to spend time in the fresh air, just enjoying the beauty of nature. Uncle Jack was never a man who felt very comfortable all dressed up. That just wasn’t his style, and that’s ok with me. He was perfect just the way he was. He didn’t have to dress up to be special, that came from the inside…from his heart. 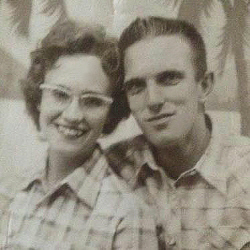 Uncle Jack married Aunt Bonnie on Valentine’s Day, February 14, 1959, and never a day went by that he didn’t consider himself the luckiest man in the world to have the love of his life by his side. They were forever happy. He supported her in whatever she chose to do. When Aunt Bonnie took up cake decorating, later making the cakes for my parent’s 50th wedding anniversary, my 25th wedding anniversary, as well as both my girls’ wedding cakes, Uncle Jack became her main assistant. He was an expert at transporting and setting up those cakes, without one loss that I know of. He did it all in love. Love for the brothers-in-law, sisters-in-law, nieces, nephews, grand nieces, and grand nephews, and countless other people, especially relatives who benefited from his labors. I hate watching as the generation my Uncle Jack was a part of slipping away from us. With the passing of each one, we lose a little bit more. I makes me so sad. I love you Uncle Jack. I will miss you so much.